Hearts Desire is offering new lines of affordable lace dresses perfect for informal or beach weddings, second timers or vow renewal and anniversary celebrations. We have white lace dresses and matching cover ups from Adore in S, M, L, XL. This style is very affordable – the dress sells for $110 and the jacket sells for $90. After a summer of anticipation Hearts Desire now offers a line of creme lace dresses handmade in Bali. Long and short styles, matching jackets, shawls, skirts, tops will be for sale. It can take up to 3-4 months for an order. Items range from $48 (shawl) to $300 (long dress with beads and pearls). Please call for an appointment to view these lovely designs. 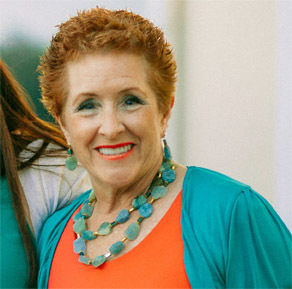 Vicki Rollo has been custom designing jewelry for clients for many years. The 3 photos on the right side of the gallery show designs produced for a wedding with a coral/teal color scheme. 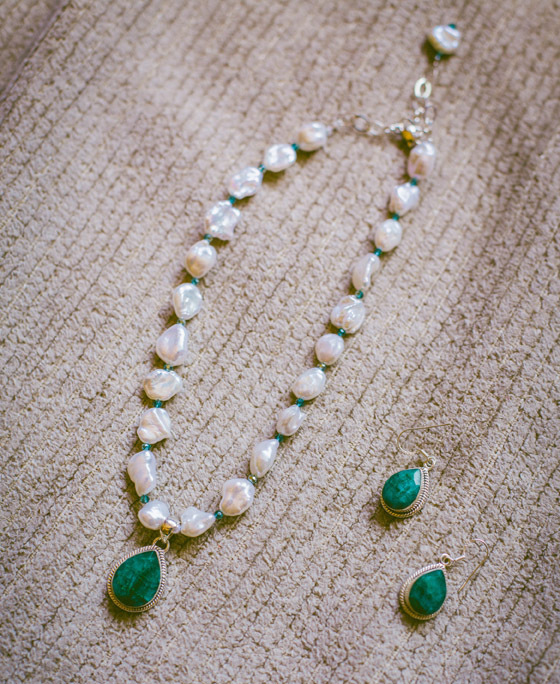 The necklace for the bride was a lovely delicate necklace of asymmetric white fresh water pearls separated by tiny emerald crystals suspending a beautiful raw emerald in silver pendant with matching raw emerald earrings. 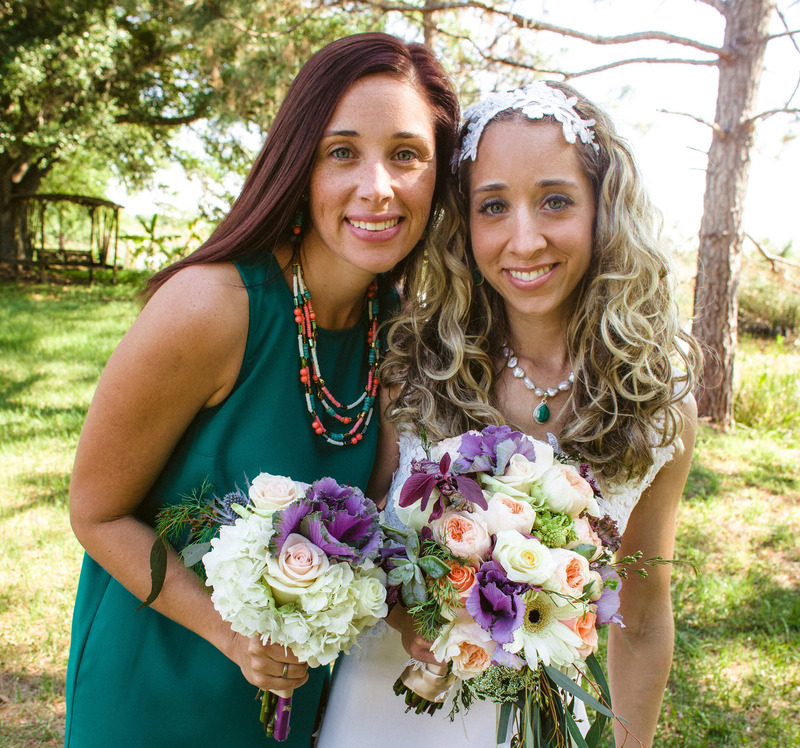 The necklace for the maid of honor was a four-strand, tiered necklace of turquoise, orange coral and white coral with gold accents. The necklace designed for the mother of the bride was a double-strand tiered necklace of raw aquamarine disks separated by anodized hematite.